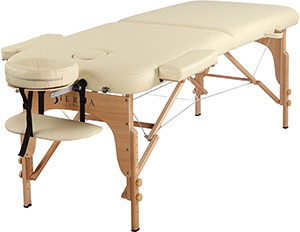 Here’s another one from Sierra Comfort – the Sierra Comfort Relief Portable Massage Table (SC-501). 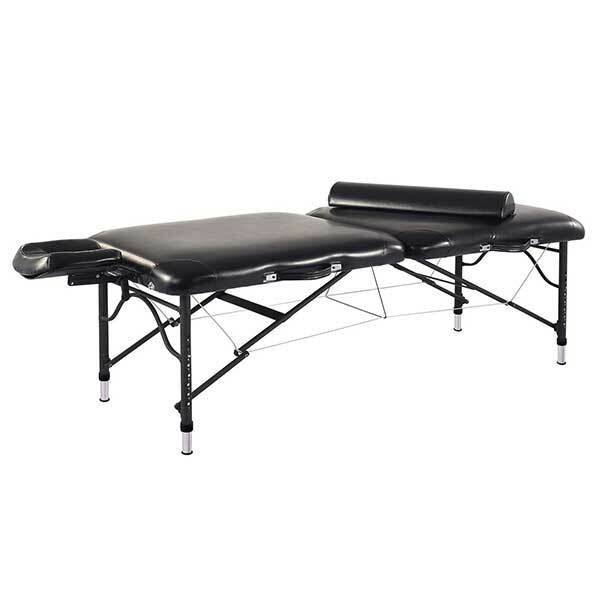 The table below outlines the company’s massage table lineup and their price points. Base table weight: 36 lbs. 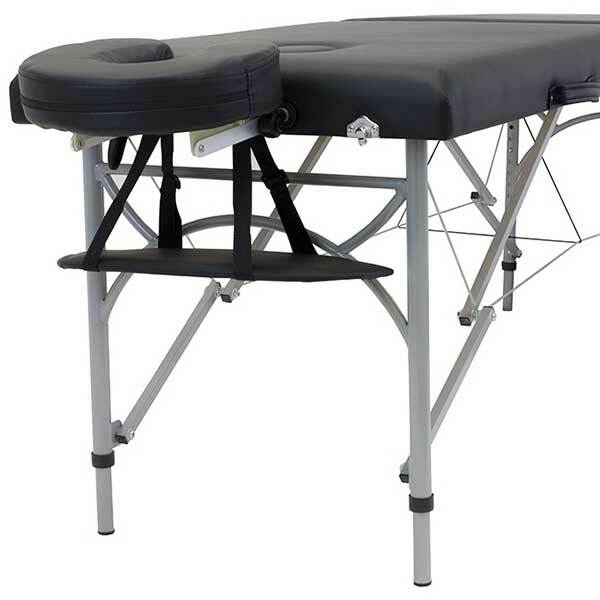 You may have noticed that the Sierra Comfort Relief Portable Massage Table has the same model number as the Preferred. The only difference is that Preferred has an “A” while the Relief has none. The Relief (SC-501) essentially has the same dimensions as the Preferred (SC-501A). Their wooden frames even look identical. The key distinction is in the deck section. 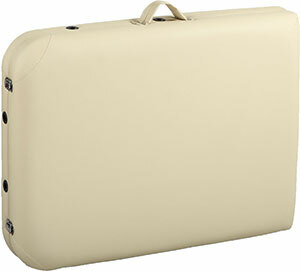 The Relief has more bells and whistles than the Preferred and is also a tad bit more expensive. 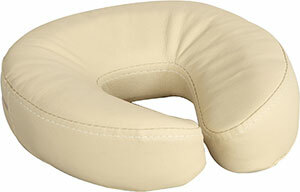 The Preferred only comes in black while the Relief has colors in Black, Burgundy, Cream, Pink, Purple and Royal Blue. The rest of the features are outlined below. 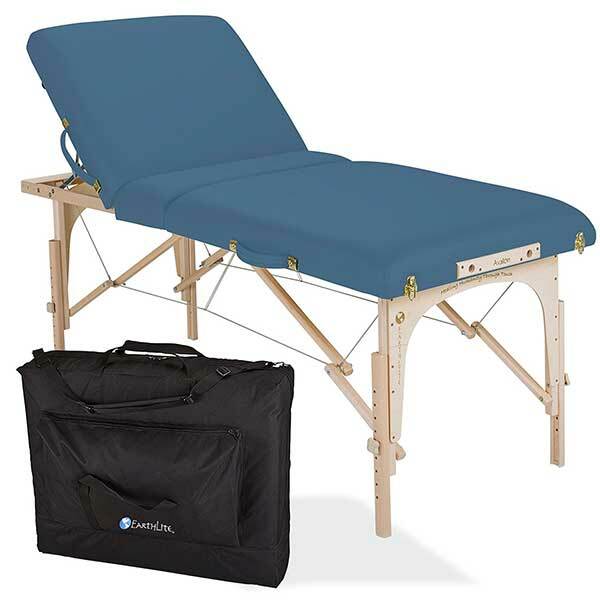 Owners of the Sierra Comfort Relief Portable Massage Table found this table to be easy to set up and reasonably priced. 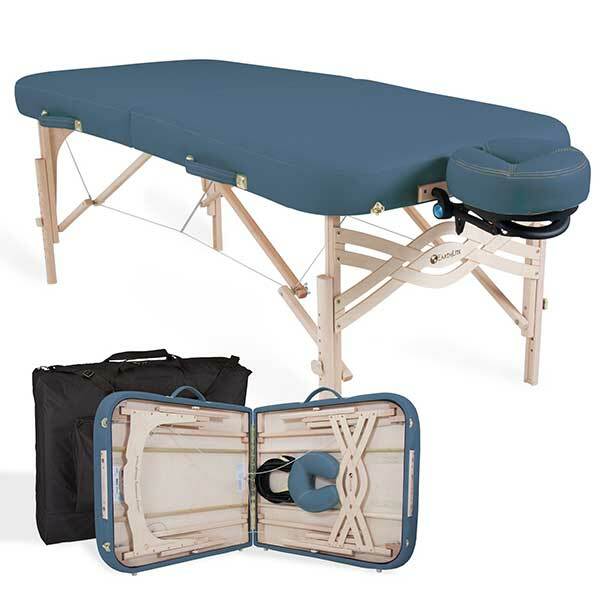 Most users of this massage table seem to have purchased it for personal/home use. Perhaps it’s safe to say that it is generally stable since only one or two users questioned the quality of the cables used to support the table. There were also a few users who complained about the smell of the upholstery. 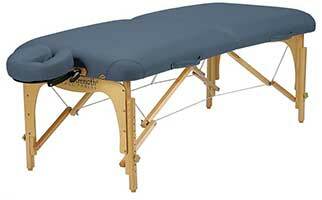 As with many massage tables that recently came out of the factory, the chemical smell typically lasts for a few days. It may be tolerable to most, but there are some who are sensitive to the smell. Simply store the table away and let the smell disperse for a few hours or days. 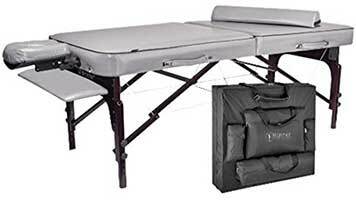 It only happens once in the entire lifetime of the massage table. Several users reported that the built-in face hole isn’t as functional as described in the fine print. Many didn’t have any use for the arm rests as well since most home users only have a couple of people with the same body type that will ever use it for the most part. Perhaps these are some of the reasons why the Preferred (SC-501A) came out of the market. 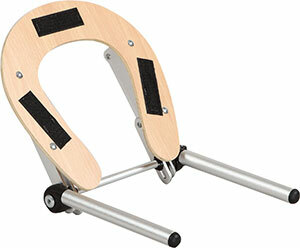 It didn’t have the bells and whistles but was similarly functional and less costly. There were some concerns on the carrying bag that came with the table. 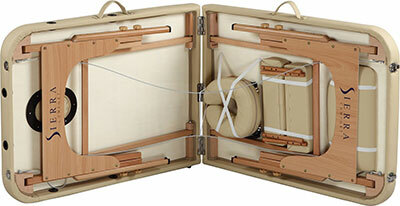 Some users reported that it was flimsy and that the shoulder strap wasn’t thick enough to support the shoulders. 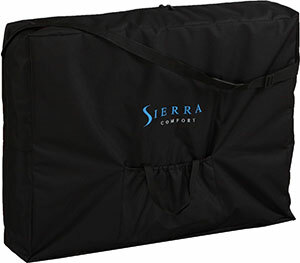 There was no clear information regarding the warranty or if the manufacturer is responsive enough for such claims, but Sierra Comfort gives a 5-year limited warranty as stated in the company’s website.